Patients choose cosmetic dentistry for an array of reasons—to repair chips and cracks, treat an injury, or just improve their overall appearance. Regardless of what your reason for a smile improvement is, cosmetic dentistry works to help you look younger and healthier. Cosmetic dentistry is one of the fastest growing areas of dentistry today and is a vital part of the dental profession. With the help of your cosmetic dentist, you can improve your smile and repair dental damage that you have been putting off for years in just a few appointments. A healthy, attractive smile can make you feel younger and more confident—an investment that is well worth it. Today there is a wide array of cosmetic dental treatments available. Teeth Whitening – this is the simplest way to make a substantial improvement in the appearance of your teeth. Whether you choose in-office or take home whitening, you can improve the whiteness and brightness of your teeth. Dental Veneers – veneers are a great option for patients that are looking to enhance their smiles in more ways than one. Custom-made by your dentist, veneers are a popular treatment for severely stained, chipped or misshaped teeth. Bonding – dental bonding is a popular dental technique used to repair teeth, replace silver amalgam fillings, repair cracks, and fix misaligned teeth. Dental Implants – when you are missing a tooth, or multiple teeth, dental implants offer a permanent solution to fill in gaps where teeth are missing. With the availability of cosmetic dentistry, patients can take the next step toward an improved smile in only a couple dental visits. 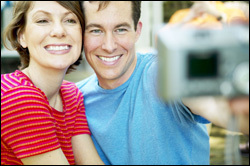 From whiter teeth to straighter teeth, cosmetic dentistry offers it all. For more information on Cosmetic Dentistry in the Westport, MA area, contact Westport Dental PC by filling our Contact Form or calling (508) 675-0561 today!